The World Health Organization (WHO), in collaboration with the International League Against Epilepsy (ILAE) and the International Bureau for Epilepsy (IBE), have initiated a Global Campaign Against Epilepsy. The mission of the Campaign is to improve acceptability, treatment, services, and prevention of epilepsy worldwide. Tim Welty, Clinical Sciences Department Chair at CPHS, has been asked to contribute to the Campaign’s Global Epilepsy Report. Welty will collaborate with other global leaders to create a chapter on issues related to improving access to essential medicines. The report will consist of eight chapters, each led by experts in the relevant topics. 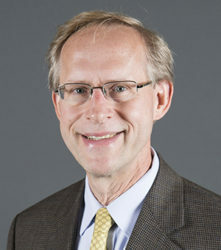 Welty’s expertise comes from years of involvement in practice and research related to the pharmacotherapy of epilepsy. His work with nongovernmental organizations and mission groups in low and middle-income countries has given him an understanding of the challenges that individuals face in gaining access to medicines. The goal of the project is to enhance awareness and response in order to encourage countries to improve access to epilepsy care at the community level. WHO and its partners aim to launch the report worldwide in 2018.